Today was a great day. 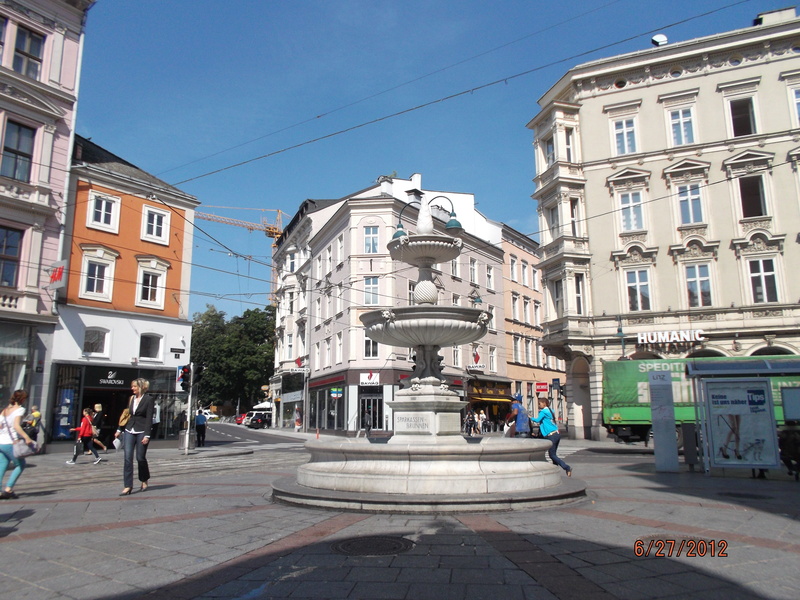 I was able to do some serious shopping on Landstrasse as well as a few of the side streets. I hope the family will be pleased with my purchases. 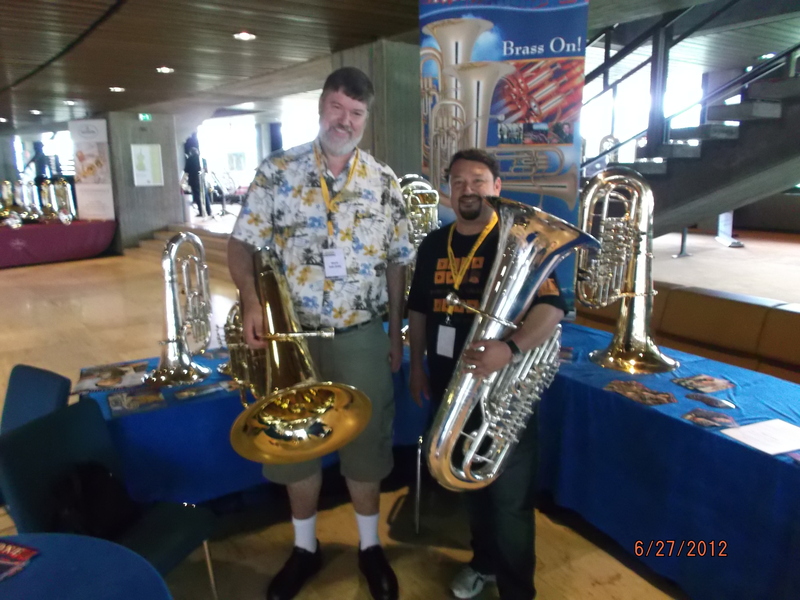 I also tried out some new tubas including the new B&S, Adams, and Miraphone F tubas. I heard the SymbiosisDuo concert with Gail Robertson and Stacy Baker as well as the panel discussion on what it takes to be a soloist. 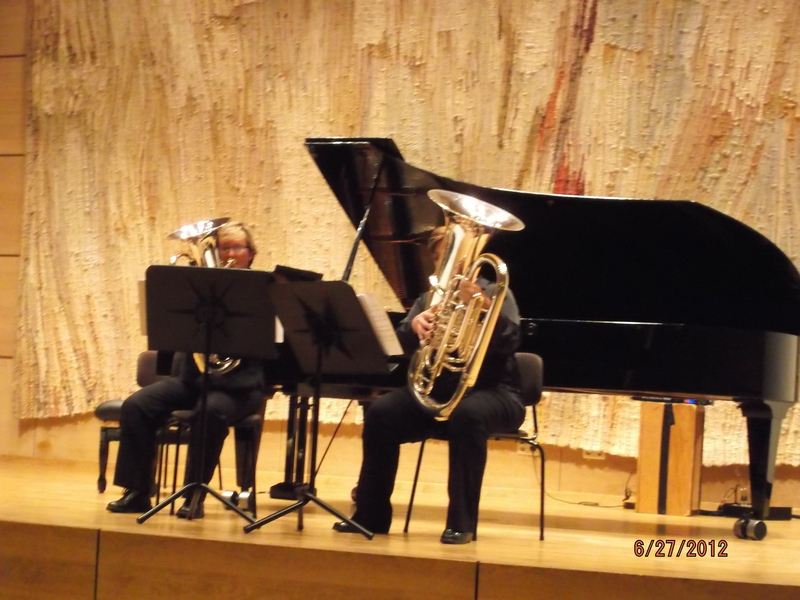 The U of A tuba/euphonium ensemble rehearsed tonight in the basement of the Brucknerhaus in preparation for the first concert tomorrow during the lunch hour. I will be conducting the Gershwin medley and playing tuba for the rest of the concert. It was also a day of meeting lots of old friends and meeting some new friends I had actually not met. Coming back to the hotel, I noticed the tracks for the tram were being worked on and only one bus was operating on the line clear to the train station. I decided to walk, after I bought my “mini” ticket of course! 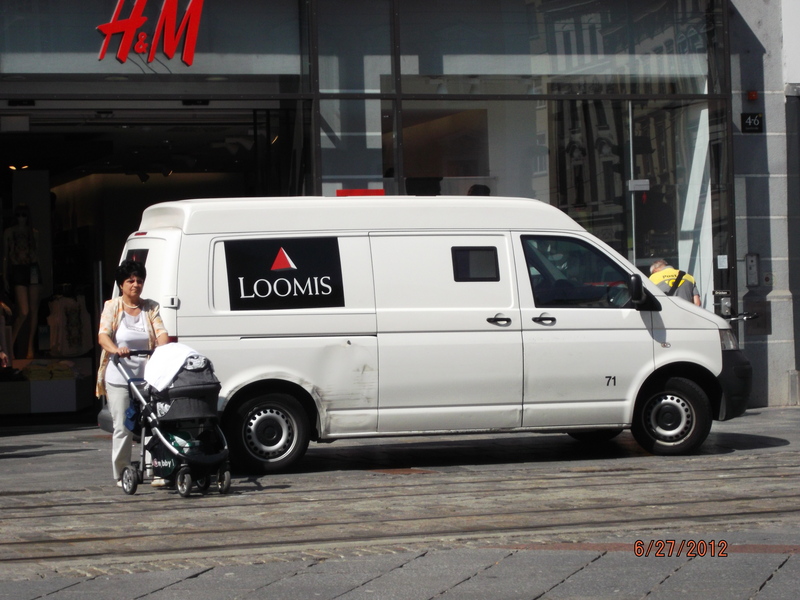 I could not help but notice that armored cars in Linz are just not the same as they are in Tucson! I had been passing this fountain daily which is next to the McDonalds that serves a mean couscous and chicken salad so I took a picture of it. This is the first time I have seen the open market on Landstrasse. 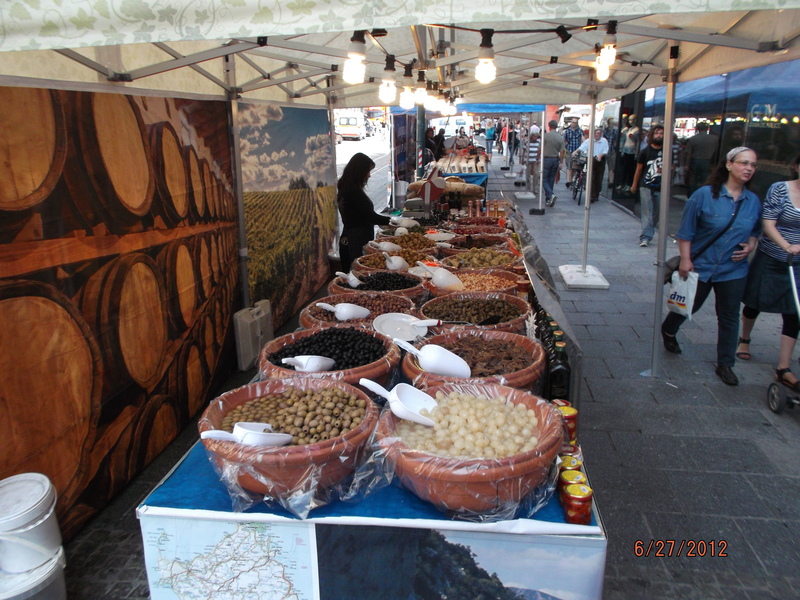 This booth has all kinds of olives for sale. 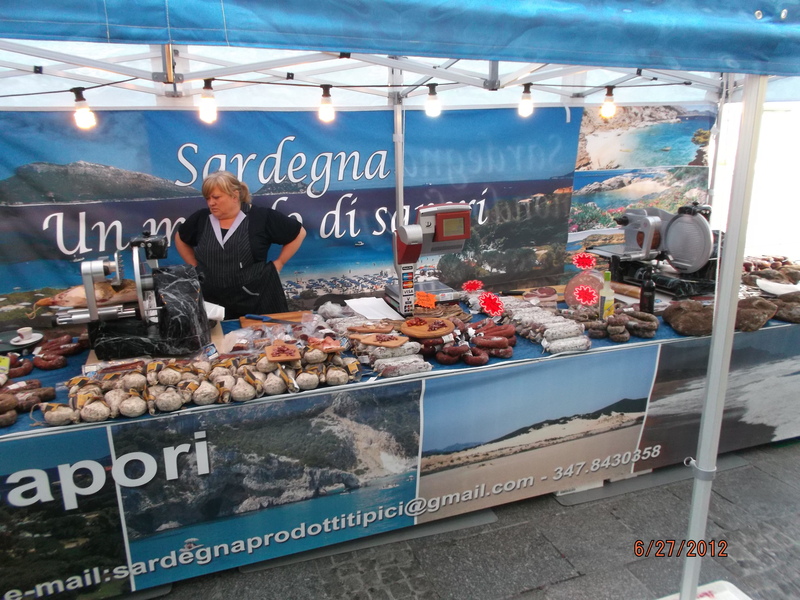 This booth features all kinds of sausages and breads including loaves so huge that they would not even fit in my refrigerator. 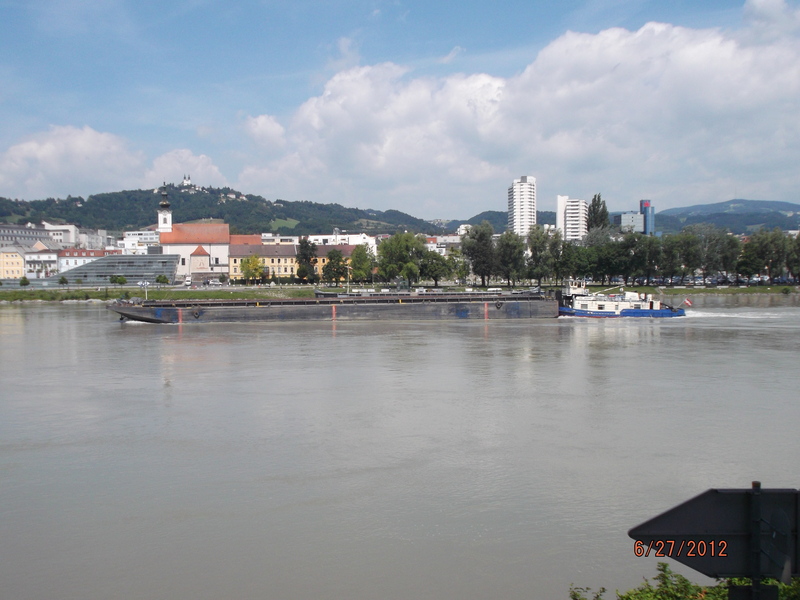 On the way walking to Brucknerhaus to try out tubas I stopped and took this photo of a tug boat pushing a barge up the Danube river. Later, the docked river cruise ships pulled out for their nightly journey to the next stop. 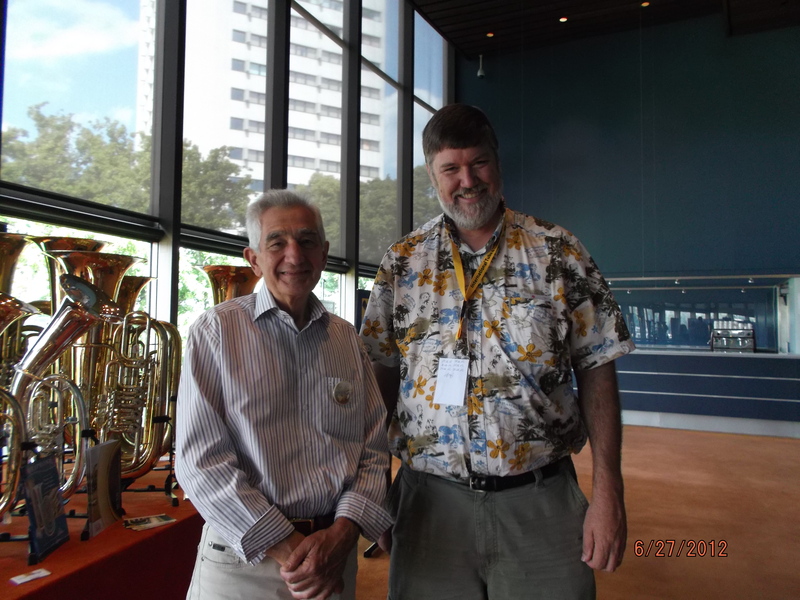 Bob Tucci, retired tubist with the Bavarian Opera and instrument designer for B&S Perantucci products. 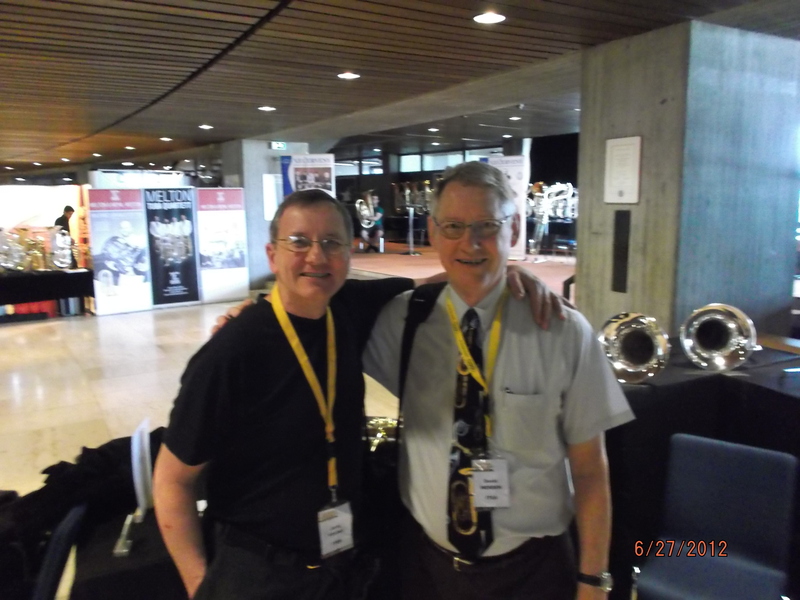 Oystein Baadsvik – one of the most celebrated tubists of our generation. 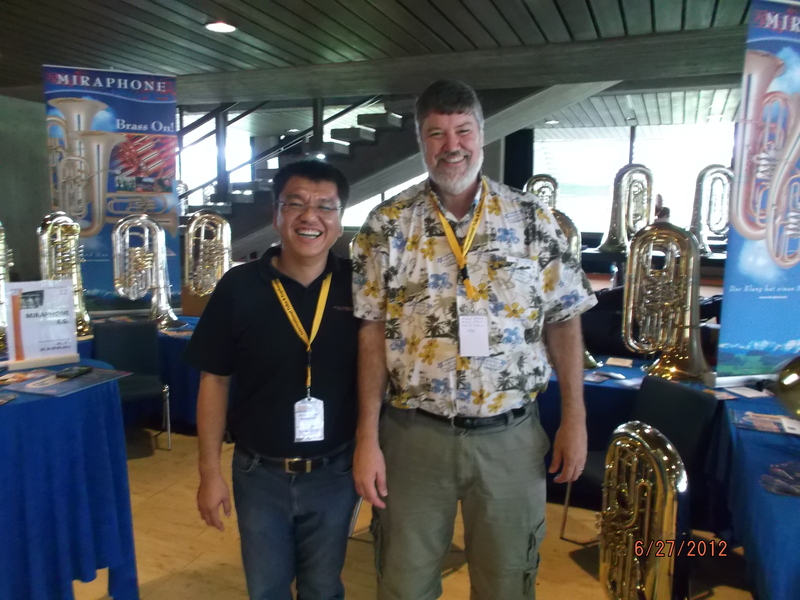 David Werden, retired principal euphonium of the Coast Guard Band and Oystein. 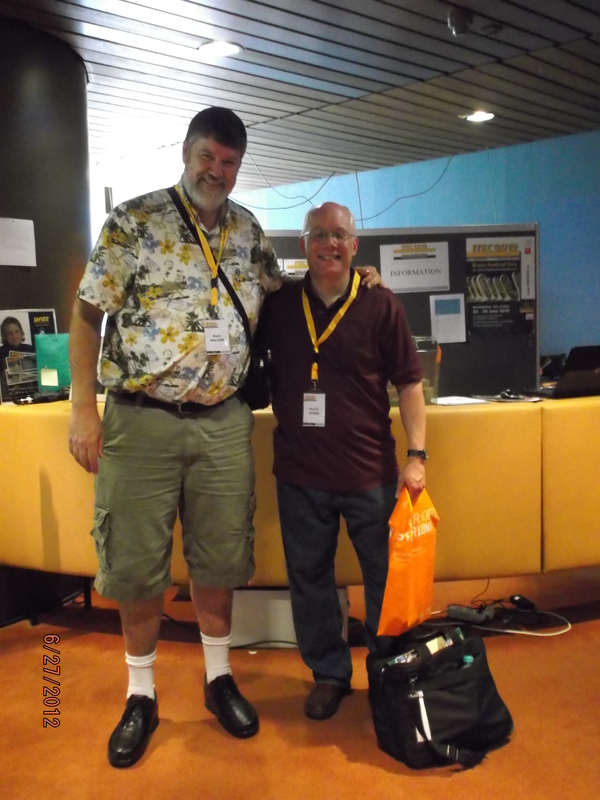 Mark and Kevin Stees, fellow classmate at ASU. 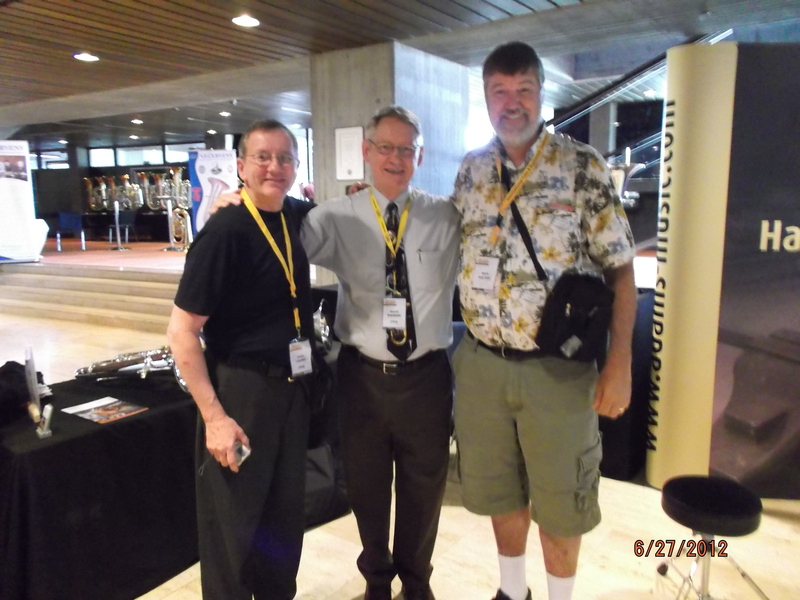 Kevin has been teaching tuba and euphonium as well as directing the university brass band for almost 30 years now at James Madison University in Virginia. 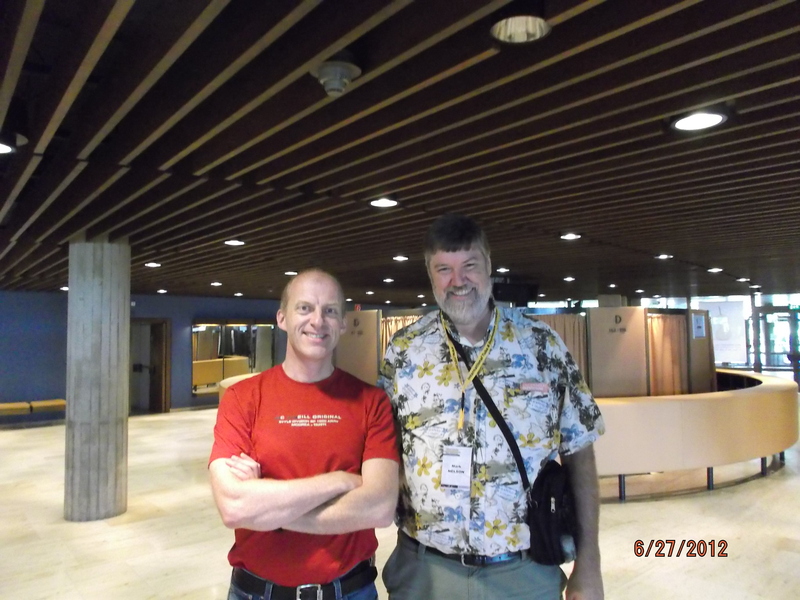 Mark and Ts-daung Pan who teaches and performs in Taiwan. 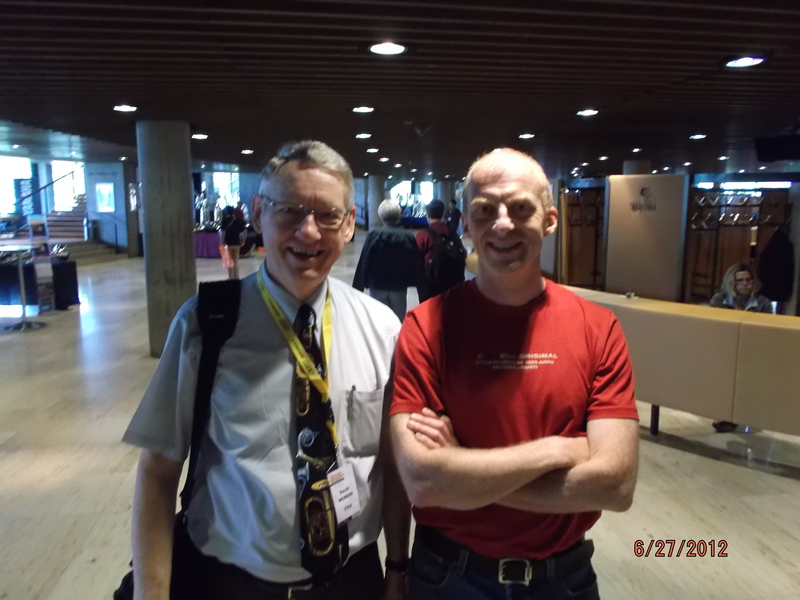 We met at the Tuba Mania conference in Sydney Australia in 1999. 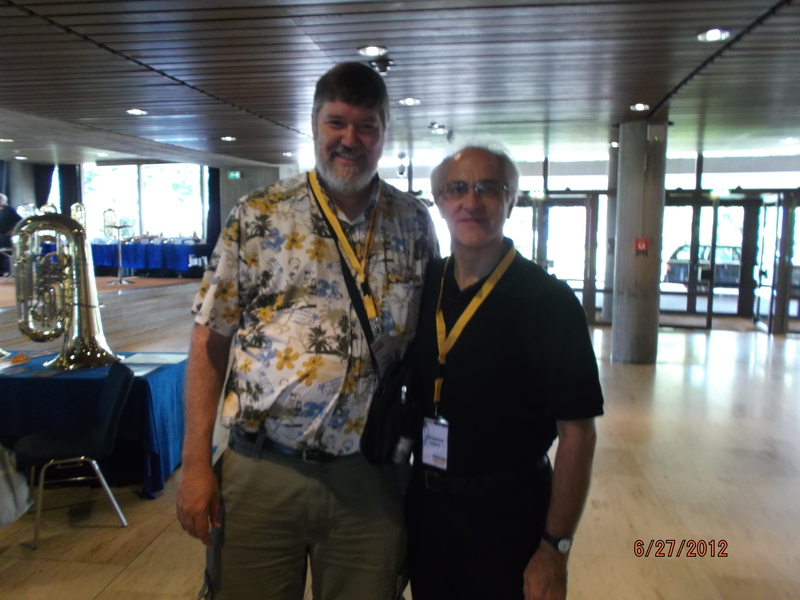 Mark and Jim Gourlay, a transplanted Scot now in Pittburgh conducting and performing. 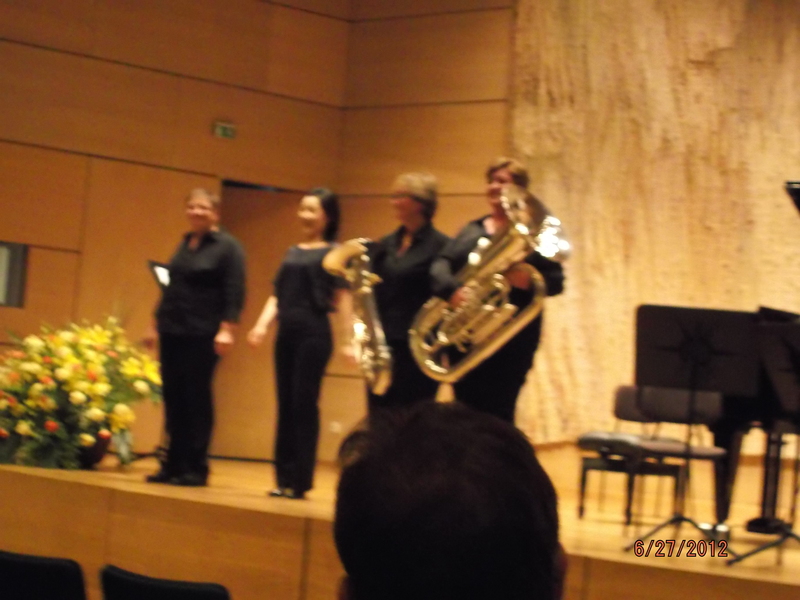 He played an amazing performance of the Ellerby tuba concerto on Tuesday with the Upper Austria Youth Band. 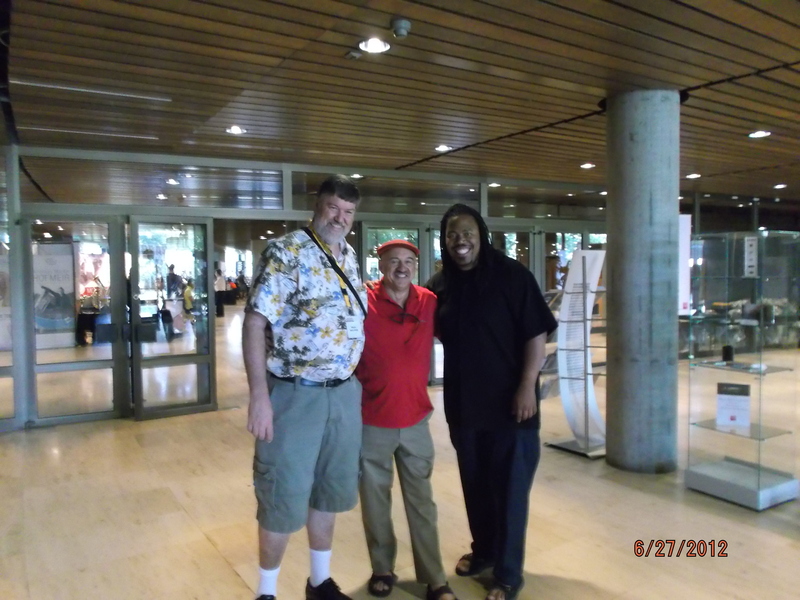 Mark, Dan Perantoni, and Richard White who teaches in New Mexico. It seems Dan’s students always end up being taller than him!! Mark, Matthew van Emmerik, and David. Matthew shared the concert I played in yesterday. 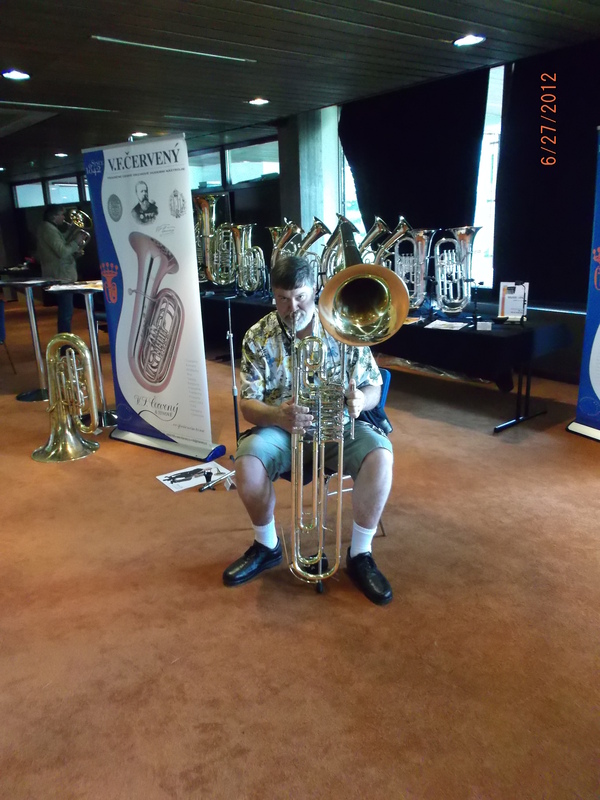 He works in Australia as a performer and conductor and is sponsored by the Adams brass instrument company. 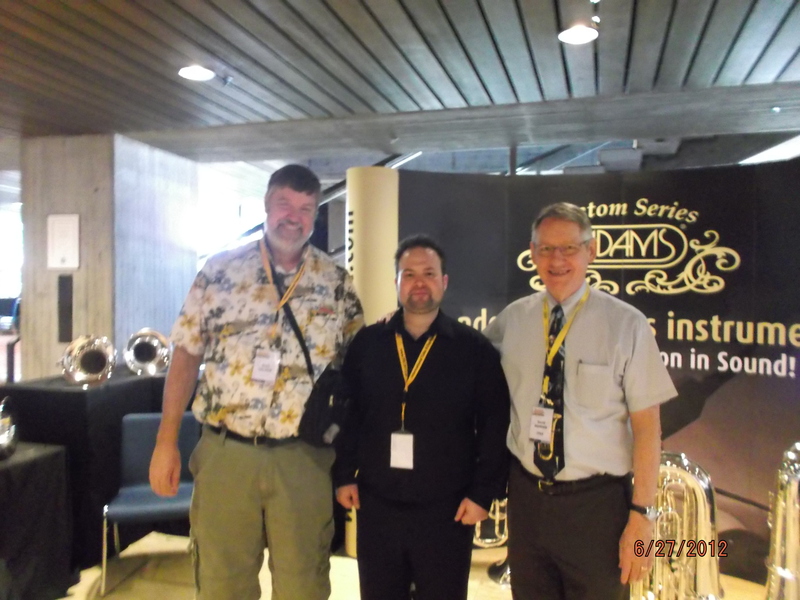 Mark and Pablo Fernandez Garcia who works in Spain and was one of the judges for the Young Artist Tuba competition. He is a Miraphone artist.